One of the first things we're going to do is install a module called "Admin Toolbar" to help us get around and explore a bit quicker. 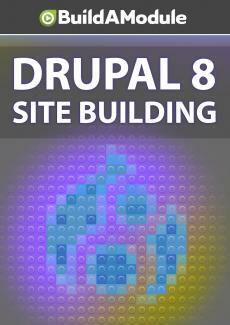 But if the module is so useful, why isn't it part of Drupal to begin with? Here we talk about the factors that come into play when deciding if a module will become part of Drupal core. Now, we're about to install a module called admin toolbar. Let's do a quick search in Google to pull it up. I'm going to click on the top link here. Modules will always be in the project folder at Drupal. org. You can see a little GIF of what's going on here. As you hover over menu items it reveals drop down menus and those menus go several layers deep which is something that the default toolbar can't do. So, if this module is so useful that we're going to install it right away, why doesn't it come with Drupal core? The basic guiding principle is that a module in Drupal core should satisfy the needs of 80% of the use cases out there for Drupal. Many modules have been removed from Drupal core because they don't meet that criteria.